1. Pierce Instructor Georgia Marketos with her students at the ACG Art Gallery foyer. 2. Megakles Rogakos explaining the artwork of Eileen Botsford to students. 3. 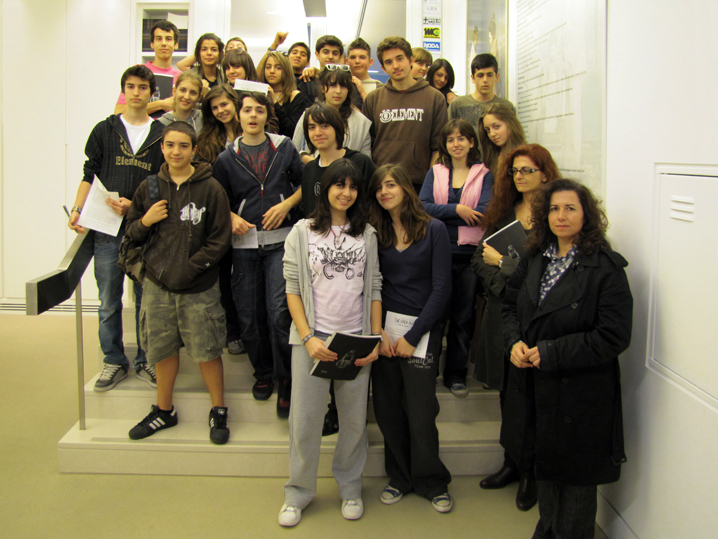 Pierce Instructor Stella Karageorgiou with her students at the ACG Art Gallery foyer. 4. 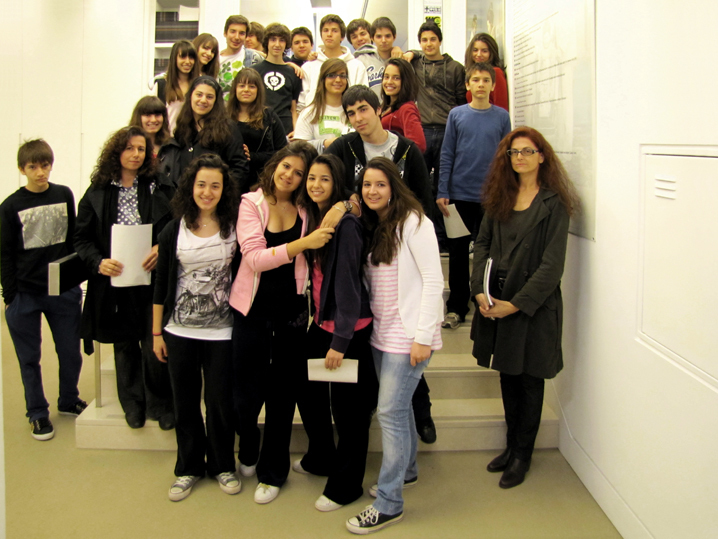 Pierce Instructor Stella Karageorgiou with her students at the ACG Art Gallery foyer. 5. 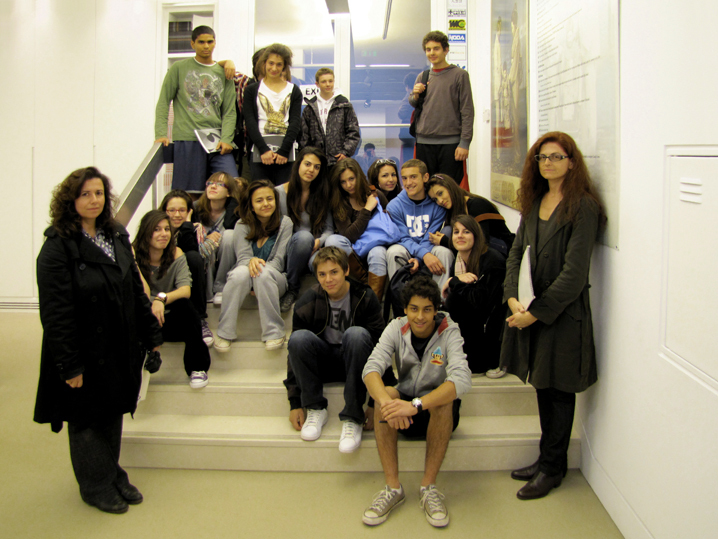 Pierce Instructor Stella Karageorgiou with her students at the ACG Art Gallery foyer. 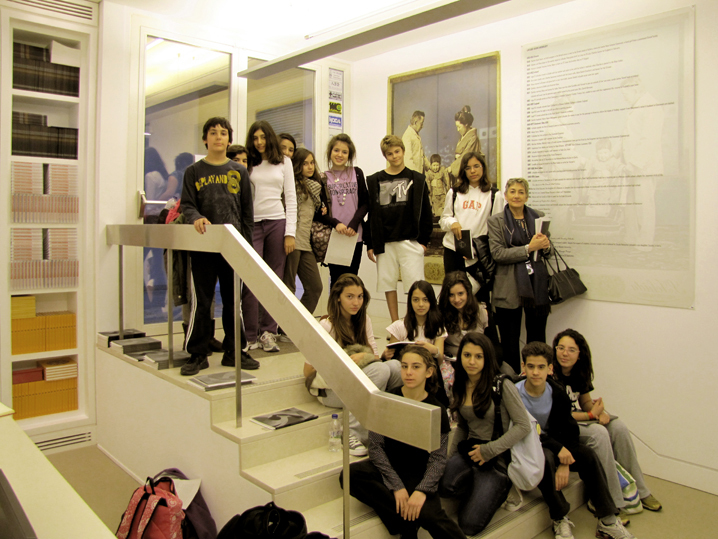 The visits in March 2010 of Junior High School students from Pierce College to the ACG Art Gallery's "The Open Mind of Lafcadio Hearn" exhibition was an educational success. 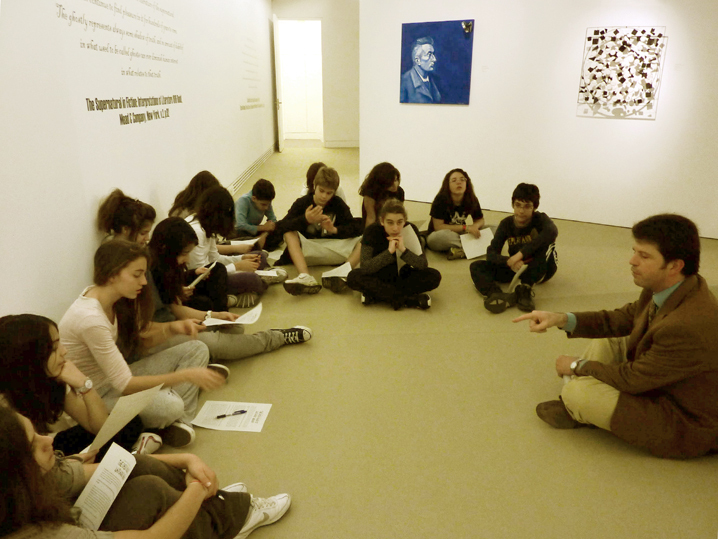 In my capacity as ACG Art Curator, I offered a quiz (as above) to the students, which was cleverly designed to involve them and make them consider the significance and meaning all of the exhibits. Demosthenes Agrafiotis (0); Christos Antonaropoulos (2); Murshida Arzu Alpana (1); Zacharias Arvanitis (2); Konstantinos Bobos (2); Ismini Bonatsou (2); Eileen Botsford (0); Giannis Diamandis (0); Lena Dimova (0); Costas Evangelatos (1); Sophia Fotiadou (0); Christos Garoufalis (1); Tina Kambani (1); Nicole Kapari (0); Koshin Kawatsou (3); Harris Kondosphyris (11); Vassiliki Koskiniotou (1); Nikos Kryonidis (1); Panayiotis Lambrinidis (2); Vassilis Liaouris (0); Panagiotis Linardakis (0); Alexandros Maganiotis (0); Megakles (1); Yiannis Melanitis (1); Alkistis Michaelidou (0); Eva Mitala (0); Nicholas Moore (0); Spyros Moschoutis (1); Evangelos Moustakas (0); Jan Mulder (2); Barbara Nahmad (0); Masaaki Noda (2); Kostas Paniaras (1); Lea Roussopoulou (0); Seiho (0); Dimitris Sevastakis (0); Vassilis Solidakis (0); Magda Tammam (2); Yorgos Taxiarchopoulos (1); Christos Theofilis (0); Sotiris Therianos (1); Sofia Touboura (1); Nikos Tsarouhas (3); Filippos Tsitsopoulos (4); Praxitelis Tzanoulinos (1); Yumiko Yoneda (0); Apostolis Zolotakis (1). Aesthetic Artwork (19); Conceptual Artwork (31). Such exhibition quizes as the above are useful tools for education because they make students 'digest' the information they receive.